Alcohol eyes tend to give harshly distorted eyesight. This is only a minor transient issue compared to the other chronic effects. It is a fact, not widely aware of, that vision can be affected by drugs and alcohol. Even though it’s a common thing, specific questions are always lingering. Questions like what does alcohol do to your eyes? And can alcohol cause blindness? To answer these, it is essential to know the detrimental side effects of drinking alcohol. 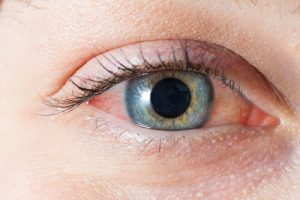 For those who are wondering does alcohol make your eyes red, read on to find out! What are the short-term effects of alcohol on eyes? 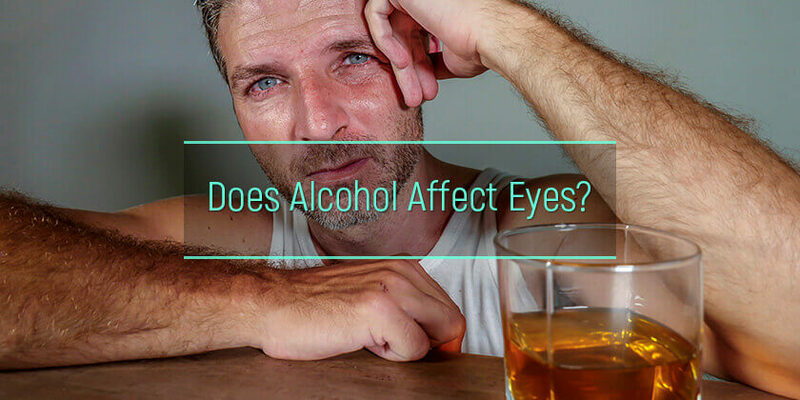 What are the long-term effects of alcohol on eyes? Why does alcohol affect eyes? Which eye diseases can be caused by alcohol? How to reduce the negative effects of alcohol on eyes? One of the most frequently experienced effects of alcohol is myokymia. It is a phenomenon that causes the eyelid to twitch incessantly. The condition here is uncomfortable and occurs with the slightest excessiveness in consumption. Continuous twitching causes puffy eyes. Another common effect is the increased dryness in the eyes. Alcohol and dry eyes always go hand in hand. This effect causes red eyes after drinking alcohol. It makes the vision distorted and further causes irritation. Alcohol and bloodshot eyes are pretty common. This is a dangerous short-term effect associated with alcohol and vision. Due to the alcohol, the dilation and constriction rate of pupils decrease. This makes adjusting to the lighting of the surroundings difficult. This factor causes the alcohol vision that results in countless accidents when driving. Many of the regular drinkers experience various effects. These include a double vision in the morning, alcohol bags under eyes, etc. on a daily basis. And even after that, they, ironically and metaphorically, turn a blind eye to it. These minor factors culminate into much more dangerous long-term effects. Individuals with high consumption are liable to suffer from cataract. This can happen at a very early stage. Alcohol and eyesight do not go together. The people suffering from this effect will heartily agree. Alcohol decreases the level of vitamins on the body. The deficiency, therefore, can cause weakening of the eye muscles. If the condition prolongs, it can further result in corneal perforation. It can even lead to night blindness and, in some cases, complete loss of eyesight. The worse of all the effects pertinent to alcohol and eyes is Amblyopia. This is a gradual phenomenon which causes the eyes to lose color over a long duration of time. Eventually, the eyes get almost blind, and the eyesight is irrevocably lost. The effects of alcohol consumption are harmful. The effects vary under the classification of short-term and long-term. In the short-term cases, the alcohol causes problems that are short-lived. Eye pain after drinking alcohol, double vision after alcohol, etc. are the cases. However, when consumed in excessive amounts, the effects can be worse. Eyes lose their sensory tendencies to detect light and dark differences. The ocular muscles are further weakened. This causes the eyesight to become dramatically weak and inefficient. Studies show that moderate doses of alcohol can change the eye movements of young adults, giving evidence of the influence of alcohol in cognitive processes, such as planning, visual attention, and decision-making. In the long-term cases, however, alcohol is capable of doing some dramatic damage. The excessive consumption can result in age-related macular degeneration (AMD). This causes extensive damage to the retina. It can eventually render the individual blind. Furthermore, the weakening of the liver due to alcohol leads to vitamin deficiency. With the deficiency of vitamin B-1, eye paralysis and perforation become highly probable. There are rare cases where alcohol causes an allergic reaction to the eyesight. Therefore, it is also advised to be aware of the various alcohol allergy hives. The above data mentions the various diseases pertinent to alcohol and vision. The short-term spectrum consists of diseases like Myokymia and pupil reaction degradation. These affect the eyesight on a sensory and muscular level. The effects cause inefficiency in the eyesight. However, the long-term list contains diseases like cataract and amblyopia. These causes partial or complete eyesight loss. Glaucoma is one of the most infamous ocular diseases. It causes permanent eyesight loss. Unsurprisingly, alcohol plays a role. The eye pressure in increased substantially on the consumption of alcohol. If it happens on a regular basis, and Glaucoma is just short of inevitable. Similarly, excessive consumption can also lead to cataract formation at a young age. It can cause extensive retinal damage. In short, alcohol plays a role of an efficient catalyst in the diagnosing of these diseases. The most basic way to reduce the effects of alcohol on the eyes is to practice control. Occasional and limited consumption of alcohol does not cause any significant damage. In addition to that, it is preferred to stay hydrated at all times. When that is done, it is time to meet with an oculist. In most cases, diet change plays a pivotal role. A balanced diet with a rich portion of vitamins will alleviate the eyesight health. Alcohol and puffy eyes are effects that can simply be cured by hydration and a good diet. Same is the case for alcohol and yellow eyes. For other long-term scenarios, it is best to take up additional medications. They can help with the situation of yellowish eyes after alcohol. In most cases, withdrawal symptoms are common. So, it is best to have basic knowledge regarding alcohol kindling and its solutions. Alcoholism is a real self-destructive issue that needs immediate attention. The relationship between alcohol and violence is also well known. However, with the support of loved ones and proper medical help, the issue can be fought and won over. Various methods and a new treatment for alcoholism approaches are surfacing. The journey, however, is long still and proper treatment with the tools of hard work and self-care is a must.